Being sensitive and strong is the new norm. Clear your past and write your future. I’m Reverend Erin-Ashley Kerti, and I know what helps empaths live their purpose fully, ditch overwhelm, and feel fulfilled. At this point I’ve interviewed over 150 empaths in all walks of life. The professional empath who is making a career out of her compassion, love and desire to heal. The stagnant empath who feels isolated and like no one sees him. The emerging empath who is starting to learn about herself and “get” that sensitivity can be a blessing. I interviewed 92 sensitives in a month… and I didn’t die of the overwhelm disease. I learned how to go to the grocery store with confidence and ease. I tested the theories and techniques to see what was ACTUALLY effective. I surveyed another 75+ empaths who had their energetic stuff together… and I saw the patterns. You deserve to feel comfortable in your own skin, feel confident in the grocery store, go to public gatherings and enjoy the festivities instead of feeling like everyone’s energy is attacking you. You deserve to know exactly where you end and another person begins in your relationships, whether they are intimate, family or friend. 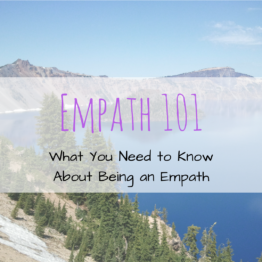 In order to really understand yourself as an empath, you’ll want to understand your physical self, your energetic self, your emotional self (OMG, we feel ALL the emotions) and your spiritual self. They are all very important to happy, grounded living. The *real* key is to learn your own mechanics – how you operate as an empath – and allow yourself to take charge. And I’ve organized it into an 6 module Empath Mechanics Course – so you can dive deeply into yourself and know the amazing soul you are. If this sounds like a good fit for you, check out the Lesson Plan below. Full 60 day money back guarantee. If you don’t find value from this course, send me an email at ea@spiritualmechanic.com within 60 days of your purchase date and I’ll refund your purchase. I want this to be as low risk to you as possible. Try it and if it doesn’t make a difference in your life, I am happy to give you a refund within 60 days of purchase.